Sensor was asked to participate in an interview with the prestigious FORBES magazine. In the August 2014 issue of FORBES an 8 pages article was produced about Sensor describing the true story of its history and the path of its leak location services from conception in 1990 to the present day. The story is about a geophysicists RNDr. Vladimir Nosko, PhD and RNDr.Tomas Gregor, PhD. 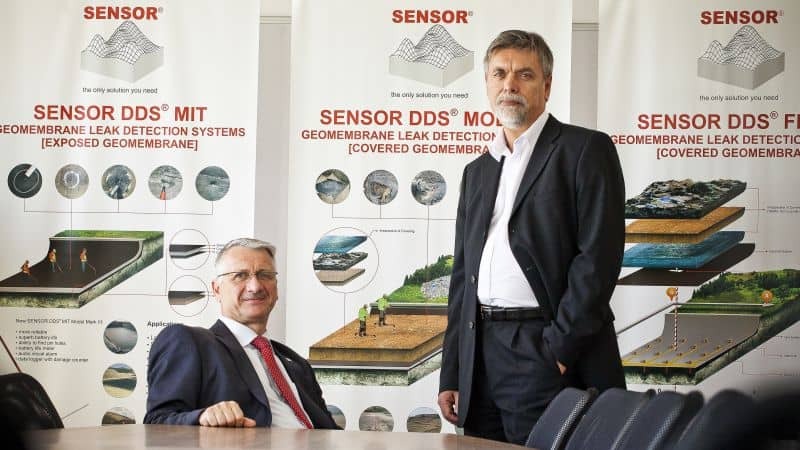 who together founded Sensor 24 years ago and since have developed sophisticated geomembrane leak location systems. The english version of the article can be downloaded here.